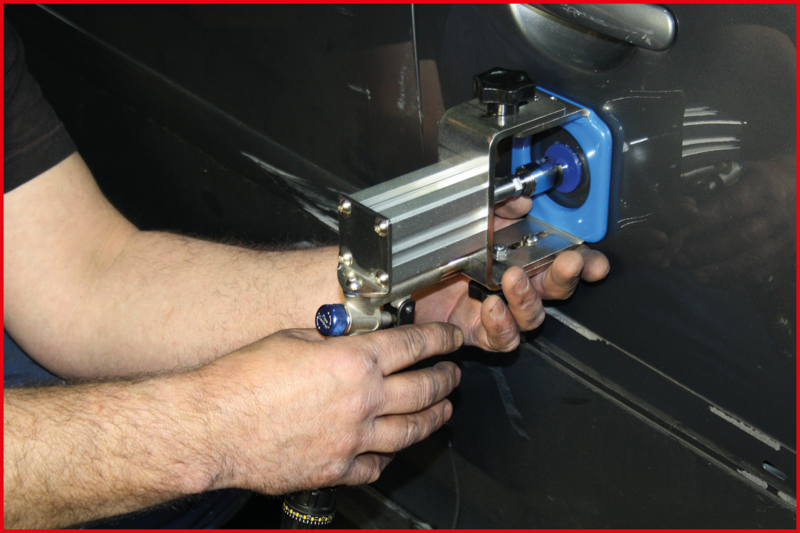 Tool specialist KS Tools have a new dent lifter in their product range. This enables smaller dents and bumps to be simply „pulled out“ of the metal. 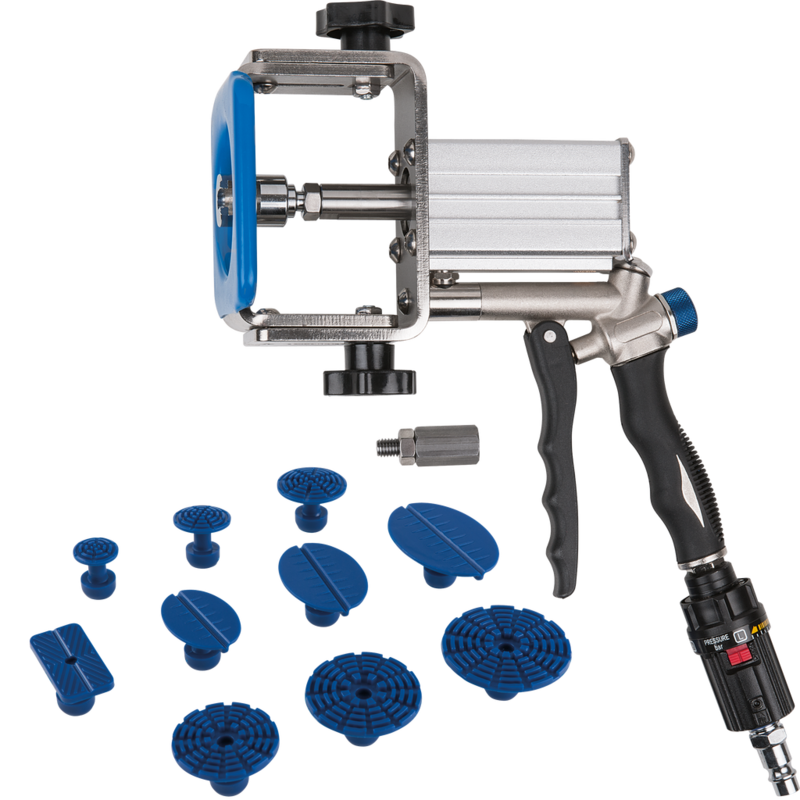 KS Tools is the first to offer such a tool based on compressed air. So filling and painting are dispensed with. The tool is suitable above all for professional vehicle valeters as well as paint and body shops. With the smart dent repair, you can offer your customers a cost-saving alternative to conventional panel beating. The dent lifter set can be obtained from KS Tools under the product number 140.2520. „Our new dent lifter is the first and only of its kind“, declares the KS Tools project management. Other suppliers to date have no such tool based on compressed air in their product ranges. A special feature of the twelve part pneumatic smart repair dent lifter set is that it can be easily adapted to specific requirements by means of its two regulating valves for air pressure and air volume. Hence the motor vehicle professional is able to dose the pulling force precisely, thereby returning the metal gently to its original position. In this way, the optimum results are achieved with little effort. Pulling the dent out elastically is particularly gentle with this work. A suitable adhesion pad is glued to the bodywork before pulling the dent out. 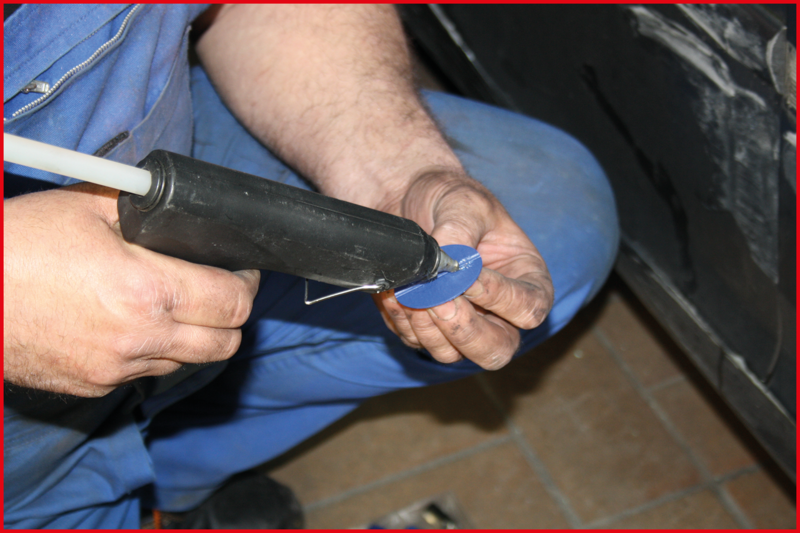 A practical additional function of the dent lifter is that it can cool the freshly glued adhesion pad. This is done using the air volume regulating valve and the air outlet opening in the area of the pulling piston as the soon as the trigger is operated. This generates an air flow which cools the hot-glued pad more quickly thus accelerating the work. The time taken until the adhesion pad can be safely strained is significantly shortened in this way, particularly in high outdoor temperatures. The tool set also contains a height-adjustable support plate with plastic coating which makes the dent lifter especially user-friendly. Supply includes a total of ten different dent pads and an extension piece. Motor vehicle professionals can use these adhesion pads several times. KS Tools also supplies replacement adhesion pads in packs of 5, in addition to other tools for smart repair.